The great thing is that Tofu with Shrimp 蝦仁豆腐 is easy to make. I just buy a pack of silken tofu, usually looking for organic silken tofu since it is more and more available these days. For more info on buying tofu see our Guide to Choosing Tofu. And I get a pack of frozen peeled shrimp. The frozen shrimp that one can buy in Hong Kong are very good, they taste really fresh and are not too expensive and saves me the time of peeling the darn things. I don't know about other places though, one would have to go for shrimp that will taste fresh otherwise the dish will not work. Always in seafood, freshness must be the first consideration (as I have had drilled into my brain here in Hong Kong amongst the freshness fanatics otherwise known as the Cantonese). Slice the tofu into 1/2" squares. Put into a dish and cover with boiling water for 20 minutes at least. Defrost shrimp by running under water for about 5 minutes. Dry the shrimp as much as you can. Heat your wok to high, add oil. Slip in the slices of ginger and stir a few times to release aromatics. Add the shrimp and stir fry until shrimp start turning pink and opaque. Add the rice wine, soy sauce, salt and sugar. Stir. Add the chicken stock and then turn the heat to medium low. Drain your tofu in colander and pour into the wok, making sure tofu and shrimp submerged in the stock. Let shimmer for 3-4 minutes. Add enough water to cornstarch to make mixture liquid when stirred and add to the wok, stirring gently until the sauce thickens. Try not to break the tofu cubes. Serve hot. I am glad to have spotted your blog by chance and I love your recipies postings. 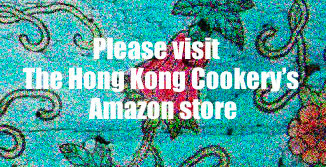 I am a avid cook ( homecook meals are my fave ) and finally have found your blog that features authentic HK homecook meals. Keep up your good work!